Treat that special someone with a Woodlands Gift Voucher. Vouchers can be for any of our packages or components thereof such as accommodation, dinner for two, massages etc. Simply email or telephone us on 03 5963 7150 and we will organise to mail or email to you for presentation, or your gift can be forwarded directly to a nominated person. No extra charges are made, but payment in full is required at time of order and gift vouchers are not redeemable for cash. We stayed at Woodlands for a short break after our wedding. 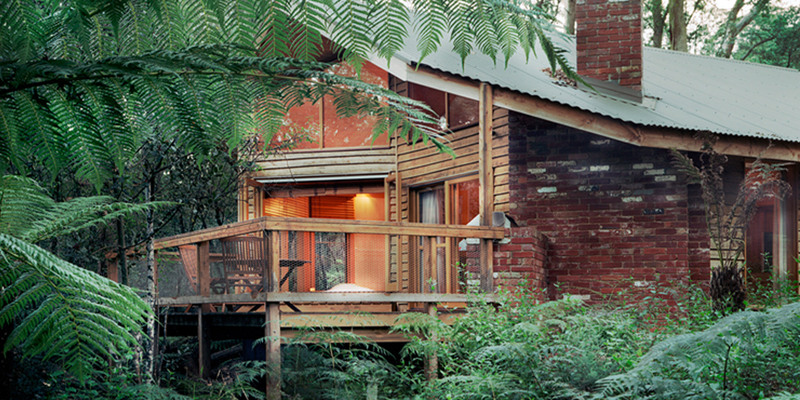 From the moment we walked into our cabin we were impressed beyond our expectations. From the attention to detail and little touches, to the warm and inviting ambiance, our accommodation was the perfect spot to unwind and relax. Stepping out on to the balcony, the beautiful, tranquil setting and friendly wildlife (hand feeding King Parrots and Rosellas) added to this already impressive accommodation. The in room spa, combined with Woodlands signature scent products, made relaxing easy, and the comfortable bed with no traffic or other noise made it easy to get a good sleep and recharge. The staff were very helpful and friendly, even dropping off a very much appreciated surprise to help celebrate our wedding, but respected our privacy, making our stay feel not like your ‘run-of-mill’ hotel but more like your own private hideaway. Our time at Woodlands was over far too quickly and we found ourselves not wanting to leave. We will definitely be back!